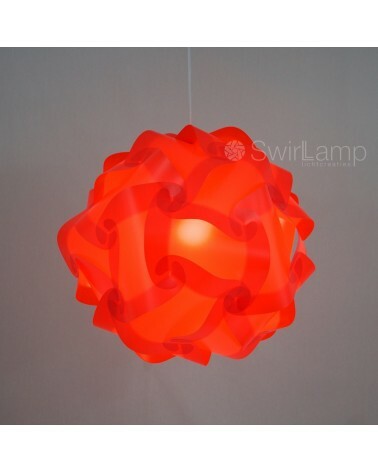 The orange Swirlamp is a lot of fun to use during a sports tournament with the Dutch team competing, combined with the red, white and blue colour themed Swirlamp and for example the football printed swirlamp. 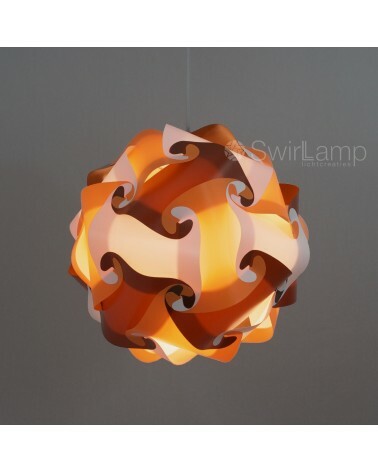 The perfect lamp to give your living room, pub, terrace or stand an elegant touch during Kingsday. 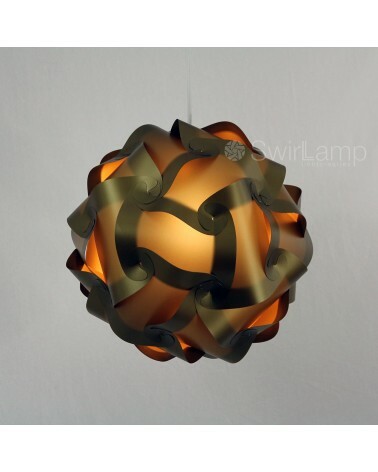 But of course this orange Swirlamp will also fit on normal days in a modern interior. 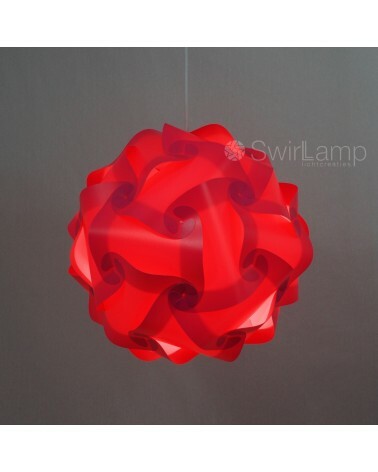 The Swirlamp is made of 100% recycled plastic and comes in a package of 30 elements with a dutch manual how to put it all together. 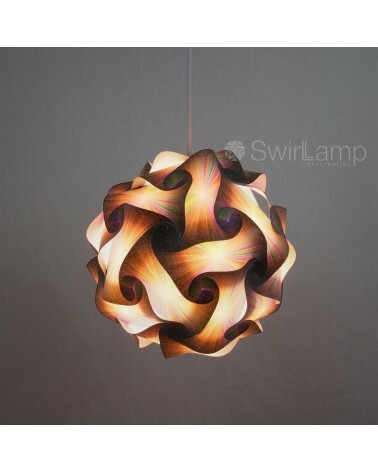 Fully assembled, the lampshade is 42 cm in size. 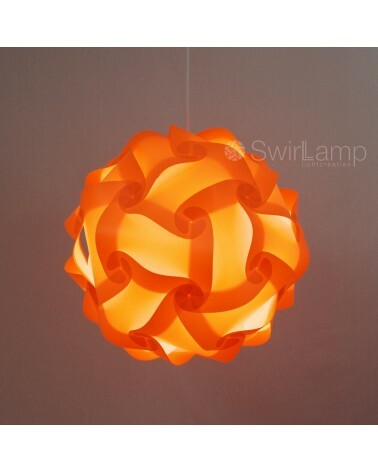 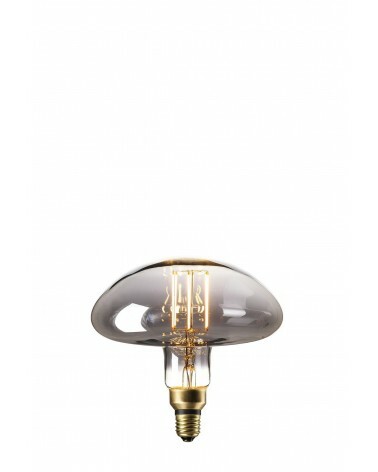 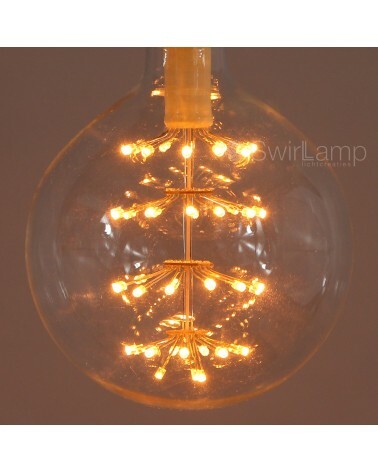 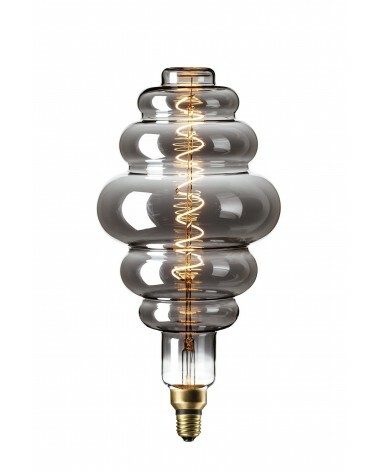 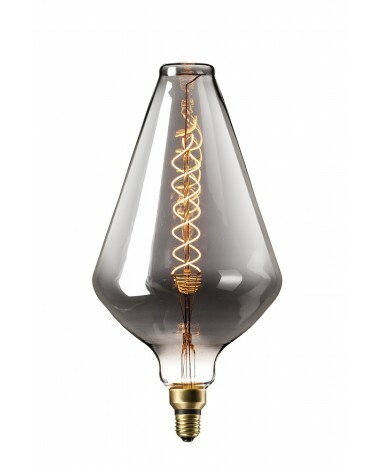 Inside the Swirlamp, you can put one of our energy saving LED bulbs or a traditional lightbulb of 40W max.